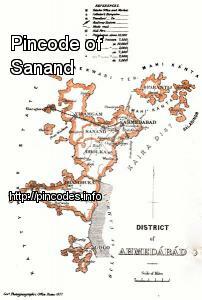 Sanand is a city and a municipality in Ahmedabad district in the Indian state of Gujarat. It is best known as the automobile hub of Gujarat. Sanand is a satellite town of Ahmedabad city. It was ruled by the Vaghelas in the past. The Palace which was built by the Vaghelas is present and it is the home of the royal family of Sanand. The famous artist of the Mewati Gharana, Late Maharana Jaiwant Sinh Vaghela was from the royal family of Sanand. He was a great musician and also the guru of Pandit Jasraj. His son was Late Maharana Rudradutt Sinhji Vaghela of Sanand. His son and the present king of Sanand is Maharana Jaishiv Sinhji Vaghela of Sanand. He has a son who is 18 years old and the present yuvraj Dhruv Sinh Vaghela of Sanand and a daughter Katayayini Sinh Vaghela of Sanand who is 15 years old. PM Modi will cast his vote in Ranip, Ahmedabad.